Ozark National Health Insurance Company is actually the Ozark Health Plan, which administers Medicare health plans in the state of Missouri. Ozark Health Plan is a subsidiary of Arcadian Health Plan, Inc. Compare health insurance from active providers by entering your zip code into the toolbox now! Medicare rates Ozark Health Plans as an average Medicare provider. The determination is based on certain requirements established by the government’s Medicare administration. Ozark Health Plan enrollment can be done online on the company’s website. If you wish to speak to a representative, you can call (866) 237-8901. The company also provides the option of attending an information meeting where a sales representative will be on hand to explain the different plans. Simply pick a date on the online calendar and RSVP by completing the online form and emailing it to the company. Ozark agents are independent agents that are contracted through Arcadian Health, the parent company. 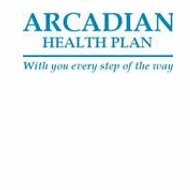 Agents may apply to represent Ozark Health Plan by calling Arcadian at (866) 245-9608 or by email via the Arcadian site at www.arcadianhealth.com. Ozark Health Plan coverage varies depending on the county you reside. However, there are two basic plans offered in most Missouri counties: Plus Plan and Dual Plus Plan. Both plans are described on the website and a brochure is available to download. The Plus Plan also provides prescription drug coverage at retail pharmacies and through CareMark mail order pharmacy. Providers for the Ozark Health Plus Plan can be viewed under the “Explore Your Plan Section.” Providers are listed alphabetically by county. The provider’s name, address, and ID number are all listed in the directory. The Dual Plus Plan is also an HMO plan, which includes Medicare benefits with additional coverage. The benefits are the same as the Plus Plan but the plan provides additional coverage. For instance, hearing exams and hearing aid benefits are included as well as allowances for over the counter medication. Non-emergency transportation is also paid under the Dual Plus Plan. Ozark Health Plan offers customer service to its members by supplying helpful information in regards to their coverage. Answers to questions regarding finding a provider, getting a referral, claim appeals, and grievances are all covered within this section. In addition to Ozark Health Plan information, individuals can learn about the different types of Medicare and what each one covers. Ozark Health Plan also allows considerations to be made on policy coverage. For instance, if you are going to undergo a medical procedure that might not otherwise be covered, you can request Ozark Health to review the information regarding the procedure and decide whether they will cover it. Ozark Health Plan will also make considerations on prescription drugs. The company will review your request and determine whether it should be covered or if the amount being covered should be increased. As a service to Ozark Health Plan’s policyholders, the company provides resources that deal with health and aging concerns. Under the Resource section of the website, links are provided to these resources. Ozark Health Plan can be contacted at (800) 658-3518. You can also email the company directly on the Ozark Health Plan website by completing the requested information and submitting. Careers with Ozark Health Plan are not listed on the website. However, any questions regarding employment should be directed to the human resource department at Arcadian Health. The link to the human resource department is provided at www.arcadianhealth.com. Should you have any problems with the Ozark Health Plan, you can notify the compliance department at www. lighthouse-services.com/arcadianhealth.com, [email protected], or [email protected]. You can also make an anonymous call to (800) 573-8597 extension 1032 to report any concerns. You can find health insurance companies and compare quotes from insurance providers by typing your zip code into the free rates tool now!